Board certified Orthodontist Donald L Simi, D.M.D. 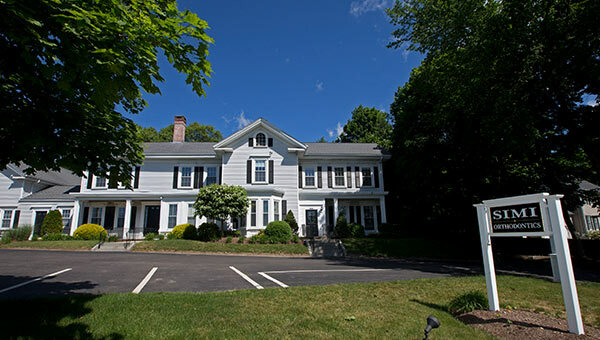 takes pride in offering exceptional personalized orthodontic care in the Norwood MA area which includes Westwood, Walpole and the surrounding towns of Dedham, Canton, Medfield, Needham, Dover, Norfolk, Foxboro, Sharon, and West Roxbury. Dr Simi is a Board Certified Orthodontist. This signifies a unique achievement, a step beyond the three years of advanced education required for a dentist to become a specialist in orthodontics. Our entire team delivers excellent, state-of-the-art, orthodontic treatment in a caring, patient friendly environment for children, teens, and adults. Our practice utilizes the most advanced diagnostic and treatment techniques available today such as digital radiography, digital photography, advanced computer graphics, and Invisalign, the "braceless" alternative to traditional braces for straightening teeth. With family needs in mind, we offer easy payment plans with zero interest options to make orthodontic treatment affordable for everyone. A leader in the community, Dr. Simi and his team support local schools, organizations, and most of all, our patients! By combining compassion for our patients, the latest in orthodontic technology and rigorous continuing education for Dr. Simi and the entire staff, we maintain a commitment to our patients and their oral health that is evident in every aspect of our practice. Our goal is to provide our patients with beautiful, healthy and long lasting smiles. These healthy smiles, in turn, will help contribute to our patients’ confidence and self-esteem. We appreciate the trust and confidence that you place in us and consider it an honor and a privilege to have you in our practice! Contact Simi Orthodontics to arrange a complimentary consultation. Dr. Simi will personally evaluate your current condition and determine if treatment is right for you. Experience the Simi Difference! Dr. Donald L. Simi has been practicing orthodontics in Norwood since 1987. Your first visit is free! We look forward to meeting you on your first visit to our office. 100% of our focus is on staying on the cutting edge of the latest orthodontic advancements. The staff at Simi Orthodontics is like family. The office is clean and the staff is accommodating. We are so happy to have an orthodontist we can trust! Between their friendly staff, kind and caring environment, as well as their orthodontic excellence, we highly recommend Dr. Simi to all of our friends and family. Their location offers convenient parking and they are always punctual with their appointment times, making my life so much easier. In addition, they even have a very relaxing waiting room. I have had four children go through Dr. Simi and I have been more than pleased with their results! Each one of my three children received excellent care from Simi Orthodontics. Dr. Simi is incredibly conscientious which results in beautiful smiles. The staff at Simi Orthodontics are very pleasant and very accommodating, especially for those of us who are always changing appointments! We’ve had four kids that were treated by Dr. Simi and we’re very happy with the results! Each one had unique orthodontic challenges which Dr. Simi turned into great smiles! All three of my children have had their very crooked teeth straightened at Simi Orthodontics. Dr. Simi and his staff are fantastic! My children’s teeth look great and the email and texting the office uses to keep me reminded of appointments is so helpful for busy families. The staff is warm and friendly and willing to work around sports schedules when possible. Our older son was voted “Best Smile” in his class and we owe this to Dr. Simi and his team! No missed appointments or over scheduling. Very professional and respectful of our time. Never had to wait too long. All appointments were on time and efficient. I never had any issues at all. This was by far the most positive experience that we have ever experienced. The staff by far are the nicest and most efficient office staff that I have ever encountered. No missed appointments or over scheduling. Very professional and respectful of our time. Never had to wait too long. All appointments were on time and efficient. I never had any issues at all. I honestly cannot say enough wonderful things about this practice. Each employee has always cared about our children and truly cared about who they were as an individual, not just as a patient. Their office is inviting and it is very accommodating for appointment times. We 100% recommend you come here for service! You will not be disappointed, rather relieved in your choice. Dr. Simi and the office crew were always friendly and kind. I’m finishing up with my last child at Simi Orthodontics and we will miss all of the crew. They have been like part of our family. Dr. Simi carefully creates an individualized plan for each child’s particular needs and communicates well throughout the entire process. His thoughtful approach has yielded beautiful results for our children and we couldn’t be happier! My family has been coming to Simi Orthodontics for the last fifteen years. Dr. Simi, Pam and their amazing staff have guided my three children through palate expanders, braces, headgear and retainers. The result is three amazing smiles! My children’s successful experiences led me to get clear aligners of my own and I am now on my way to my own amazing smile! Dr. Simi has a strong attention to detail and it showed in the final results of my children and their now beautiful smiles. I especially appreciate the time he takes to explain the orthodontic process to his patients. He has a very gentle way with kids and always make them feel comfortable. Dr. Simi and his staff are very professional and kind. We are always greeted immediately upon walking in the door and my children feel very comfortable and relaxed when they are there. The office is clean and organized, the staff is friendly and Dr. Simi always takes plenty of time to discuss what he has done. Dr. Simi is very caring with his patients. Appointments run on time and they are very accommodating with after-school and Saturday appointments. We are thrilled with the care we have received from Dr. Simi and his staff at Simi Orthodontics! All four of our children have gotten their braces here and it has been such a positive experience. We live in Needham and still choose to do the ride to Norwood to Dr. Simi’s office because they treat us like family. Dr. Simi and his staff are really attentive to their patients and their individual needs. The Simis ground their orthodontic expertise in the unique needs of each individual patient; they take the time to know their patients’ families and lifestyles, and by encouraging each patient to take an active role in their care, the results are simply impressive!